Rev. 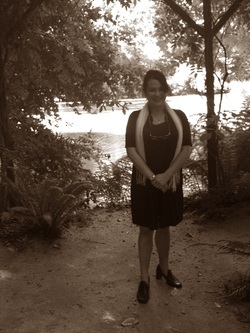 Desiree D. N. Eli before a ceremony. So blessed to officiate weddings at such beautiful locations. at the location of your choice. 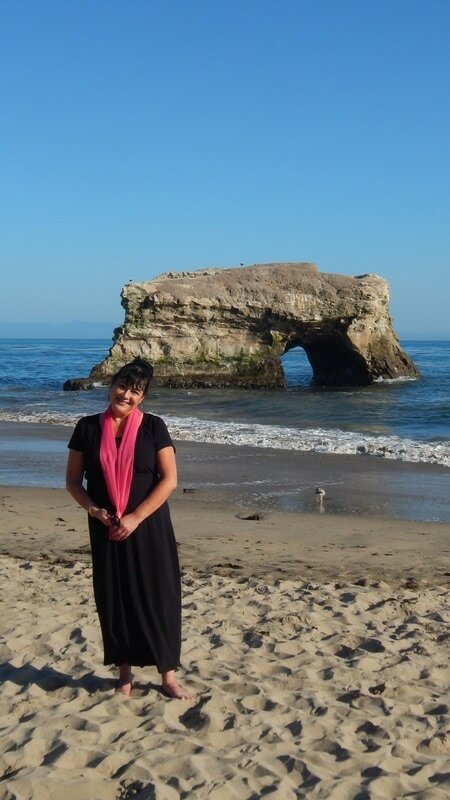 Her diverse background as a Hawaiian native, with Catholic schooling, an interest in Buddhism & other Eastern philosophies, dance training, voice-over and performance experience, and degree as a Doctor of Chiropractic gives the Dr.“Rev. Des” a unique perspective to work with people of all backgrounds. She has been an ordained non-denominational minister since 1/31/00 and performed her first wedding in 2001. Desiree has spent 1000's of hours doing research on weddings, traditional & cultural elements, ceremony passages and readings, etiquette, bridal fashion & officiant tips to be able to offer you choices and guidance and to keep up with the latest trends. Clients have said that her style is warm, friendly, and professional. Rev. Des before wedding ceremony, focusing, and getting prepared. Aloha from the "Rev. Des." Thank you for your interest and Congratulations on your upcoming wedding. I wanted to share a few things that people may want to know about me. First of all, I love weddings and never get tired of them. I love the romance, traditions, fashion, flowers, and all the rest. I approach each wedding with the intention being how I would want my wedding to be handled. Each couple is so unique and I enjoy getting to know them well enough that their ceremony seems like it was made for them. The couples that I marry have a very good track record of durability; at least 95% of them are still married. My attire on your wedding day will match the tone and style of your wedding - casual or traditional, and I take the venue into consideration (as in, no heels for a beach wedding). 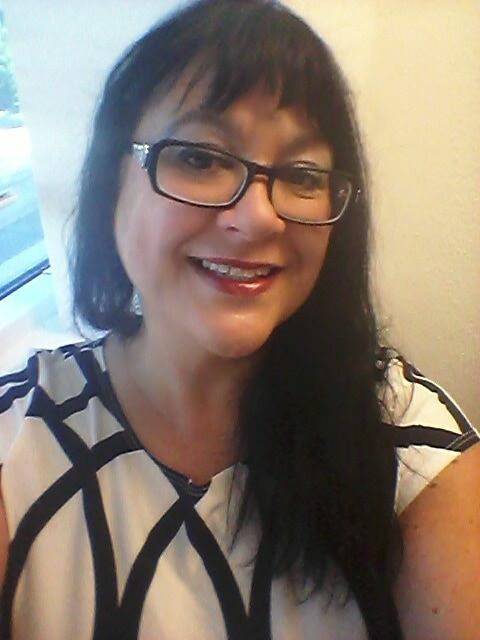 I wear something professional-looking like a black dress (I have both casual and dressy ones) or I have a pantsuit. I usually wear a Cross necklace as an indication that I am a minister. I like to accessorize with something that matches your color scheme or wedding style. Sometimes couples will order a boutonniere for me to match their flowers. Themed weddings are welcome too. I have done voiceover work for an internet podcast show and have performed in front of crowds. That experience has prepared me to be able to think on my feet, keep smiling, and interact with a variety of people. Family members and friends often come up to me after the ceremony and make a point to tell me that I did a good job, they liked my delivery, &/or liked the ceremony itself, which I find gratifying. I also have done both creative and informative writing which lends itself useful when composing and drafting wedding ceremonies. On the wedding day, before the ceremony, I like to connect with each the Bride & Groom in person, to check in with them (or to meet them for the first time face-to-face, for my out-of-towners) and see how they are feeling & doing and to offer support and any assistance they may need. Many people are around the couple to execute the details but I look at their faces, in the eyes of my Bride and Groom/Wedding Couple to take their emotional "temperature" and make sure they are ready for their commitment. I remain with the couple after the ceremony to be available for photographs and I like to take a couple of photos myself (because I get excited for every wedding).